"It's a tornado invasion," one resident said. This summer the Russian city of Taganrog has been taken over by bugs -- millions of them -- and some residents say they're living in a real life Alfred Hitchcock movie. No one quite knows what they are but these winged creatures are swarming the streets. (YouTube) Millions of insects, believed to be Chironomidae, or non-biting midges, covered the Russian city of Taganrog in late August 2018. When they first appeared several years ago, “we did not know what they were,” recalled Aleksandr Vasilets. “There were fewer of them then," Vasilets added. "Now it’s a tornado invasion. It's like Hitchcock’s 'The Birds,' but with insects." (Provincial Taganrog/YouTube) Millions of bugs, believed to be Chironomidae, or non-biting midges, covered Taganrog, Russia, in late August 2018. People in this Russian port city are used to working and relaxing outside and they are no strangers to mosquitoes or flies. But the constant buzzing sound is sending residents as well as their pets to look for cover. 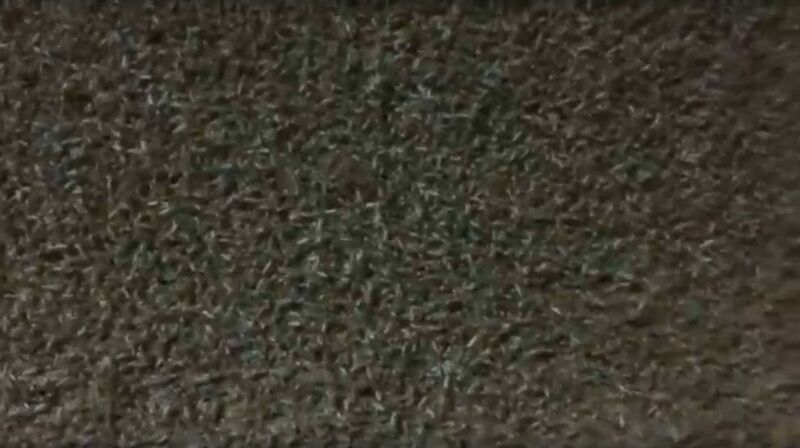 One video shows a young woman falling down a slippery layer of the insects, believed to be non-biting midges. 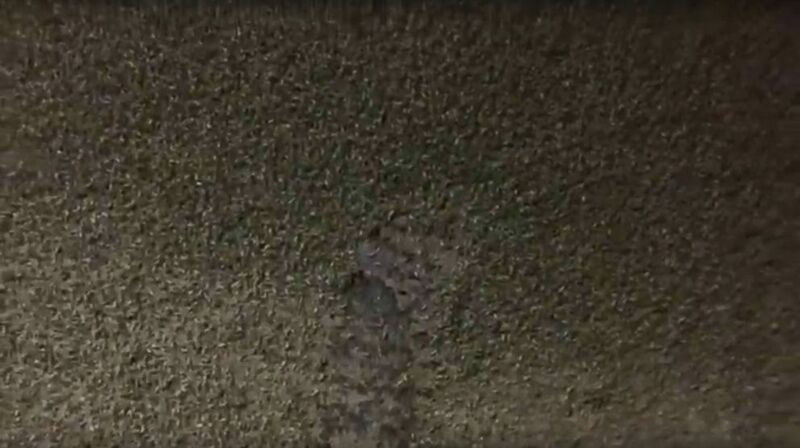 Another video shows a man’s hand completely covered in green midges. (Provincial Taganrog/YouTube) Millions of insects, believed to be Chironomidae, or non-biting midges, covered Taganrog, Russia, in late August 2018. Residents say the life span of a non-biting midge is only a few days.